The care you give a patient is only as good as the staff that provides it. 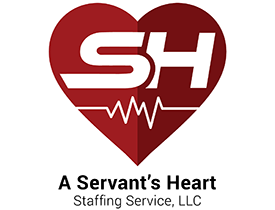 A Servant's Heart is a staffing agency that provides RNs, LPNs, CNAs, Medcation Aide, Medication Tech, and Certified Medical Assistant for physicians' offices, hospitals assisted living facility, and skilled nursing facilities. Our owner has a 25 year stellar record as a key contributor and effective leader supporting nursing operations, her background includes: MDS coordination, Infection Control Preventionist, Director of Nursing Services, Quality Assurance Director and Medicare and Medicaid Compliance Coordinator. She is exceptionally prepared to provide clients with proficient employees to bring added value and understanding of federal and state regulations, knowledge of accurate supportive documentation which leads to maximized reimbursement, improve quality measures, and also meeting staffing requirements. She started the agency to make sure that the health care industry as a whole, and especially the geriatric community, receives the caring and proficient medical staffing it needs without the excessively high labor cost. Contact us for more information about how to become a valued client. A Servant's Heart is committed to providing the highest quality of care and services. Together we will strive for excellence, exceeding the expectations of our clients, dedicate ourselves to providing compassionate, professional services to our clients, and our communities. 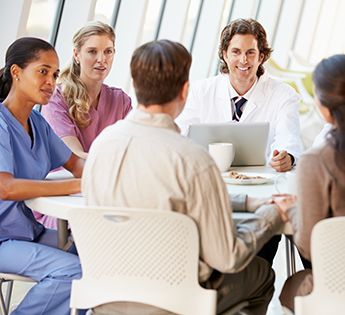 We believe excellence in health care is achieved when caregivers possess a servant's heart and a dedication to their continual professional growth.